With the help of geodigital solutions, Utilities Kingston was able to eliminate paper trail in its operations—from surveys and field visits for repairs and maintenance, to customer complaints and feedback. It also enabled intelligent decision-making. “I still remember the days when our maintenance crew would go out every morning with rolls of maps and drawings, log books, receipt books and other forms of paperwork, all to be completed on-site. It could be a very time-consuming process to locate a valve – the location on the provided map might not necessarily match the actual physical asset on the ground. And then, to manually enter all the steps that followed on a paper form and bring it back to the clerk at the end of the day, to then be filed in the system was quite cumbersome.” recalls Jim Miller, director of Engineering and Human Resources at Utilities Kingston. Not anymore! Data management at Utilities Kingston has transformed dramatically. When “just good enough” data is not good enough anymore and the quality benchmark is nowhere less than accurate, there must be a paradigm shift in the way an organization operates and delivers results. Taking one baby step after the other – roll out GIS technology, create new apps, change processes, train staff and recruit internal champions – Utilities Kingston is on its way to achieving digital maturity. Within the last three years, the organization has witnessed a 50% increase in productivity in hydrant inspection and maintenance and a 25% increase in productivity in valve operation program. The shoreline inspection time (after heavy rainfalls) is cut down to half. How did this happen? Utilities Kingston is a multi-utility company in Kingston, Ontario that provides water, wastewater, gas, electrical and networking services under one company. While its name and structure have changed, this municipally-owned organization, accountable to the City of Kingston, Council and residents, has been providing services to their community for over 150 years. The utility manages, operates and maintains an extensive network of assets – meters, regulators, mains, valves, cables, sensors, hydrants, maintenance holes, treatment plants and more across the city. It serves almost 37,000 homes in Kingston, a city of 123,798 community-minded citizens located less than 200 kilometres south of Ottawa. Operating in “one of the smartest communities in the world” * is no small task. Utilities Kingston must manage stakeholder expectations and lead by example. 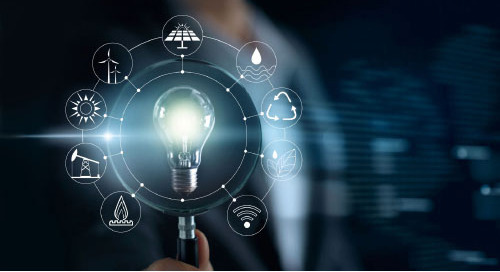 A few years ago, Utilities Kingston decided to modernize its operations to a scale where it could easily manage the various utilities and continue to delight its customers. To keep up with customer expectations and maintain a competitive advantage over other providers, it needed to move toward a holistic digital business model. 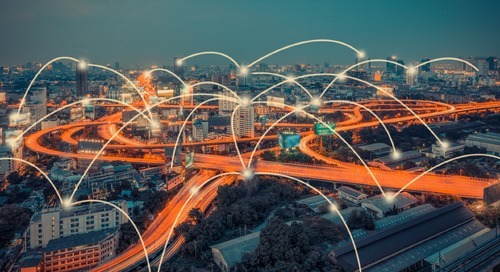 In this case, it meant crafting and implementing a fully digital location strategy – leveraging geographic information system solutions that can help achieve operational excellence. 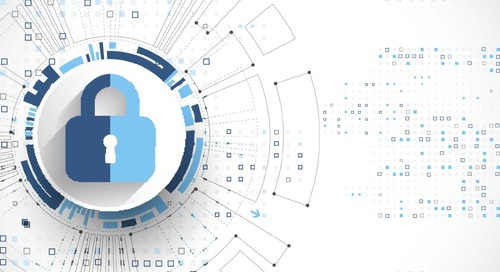 The organization benefitted from a shared services model for activities, equipment and systems, ranging from customer care, billing, accounting, fleet and even some operational functions. That structure was leveraged to create a single digital/data source that could be scaled across all its five services. 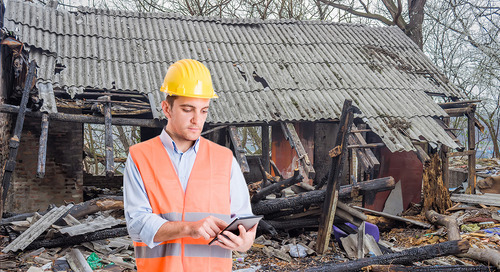 In 2012, the organization began the switch from a paper process to a mobile GIS solution to digitize its gas meter inspection and replacement services. They brought in eight contractors with the goal to replace 5,300 gas and water meters within six to eight months. 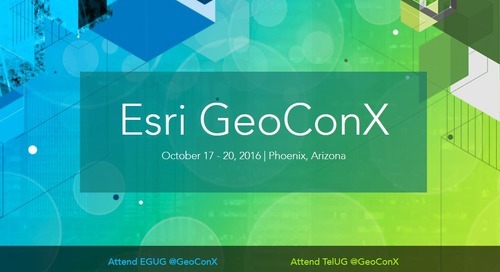 They used Workforce for ArcGIS, Esri’s location-based app, designed to improve a scattered workforce’s coordination and teamwork. 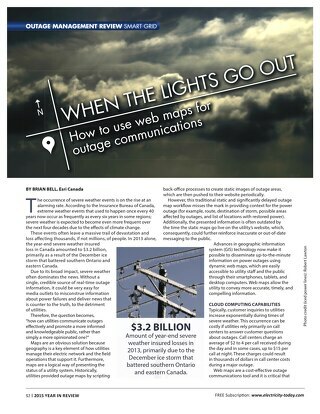 The app helped them complete more than 60% of their meter inspections and replacements within the first four months. 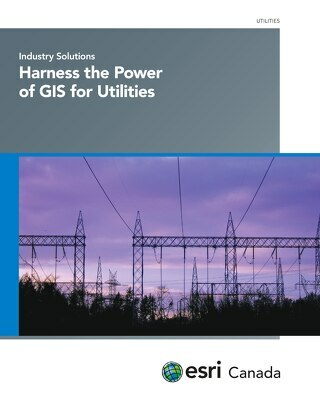 Pleased with the success of their pilot project, Utilities Kingston then embarked on a GIS platform solution implementation across the organization to improve areas including asset management, planning and analysis, field mobility and operational awareness. 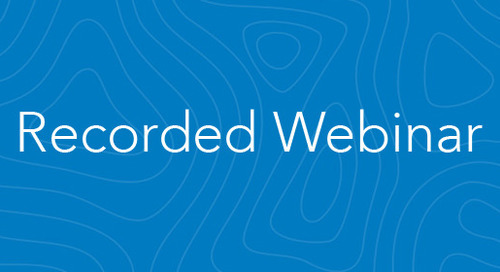 Today, in addition to Workforce, they use several other ArcGIS apps such as Collector for ArcGIS, Navigator for ArcGIS and Web AppBuilder for ArcGIS for electric and gas meter change programs. With the help of these apps, they can feed and filter work assignments to the field, collect data at each meter change and subsequently provide meter change results and photo evidence of old vs. new meters. The administration group schedules and assigns a pre-determined number of meters each day to service teams in the field using Workforce. Through the app, management can review records of work completions, dates, times and notes for each job. 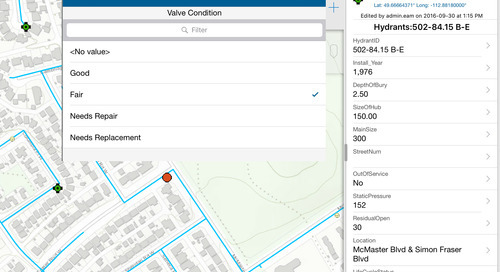 The gas meter change process is managed digitally through ArcGIS apps. Data for both old and new meters is gathered with Collector, which enables an intuitive data collection experience for field crews who need to capture and update spatial and tabular information directly from smartphones and tablets, and sync this data back to Utility Kingston’s GIS. Simple and well-designed forms in Collector allow the teams to gather new data, update existing data, enter observations and capture photos and videos on an iOS or Android device. Subsequently, this data is accessed and used by business clerks and integrated with other software platforms. Field staff use tools within Collector to plan routes and leverage Navigator to get directions to work locations, search for addresses, switch between basemaps, mark places on a map, go to bookmarked locations stored in a map, and measure distances and areas. 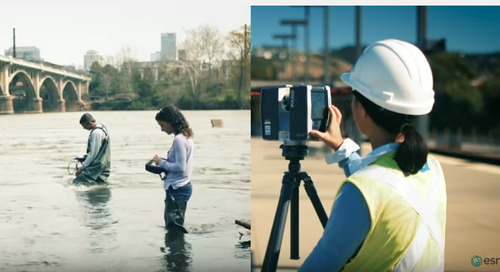 These apps have become valuable tools for conducting their field work. Utilities Kingston also created specific web apps using Web AppBuilder, which is ideal for organizations that need to quickly create and deploy new custom web apps with minimal effort. 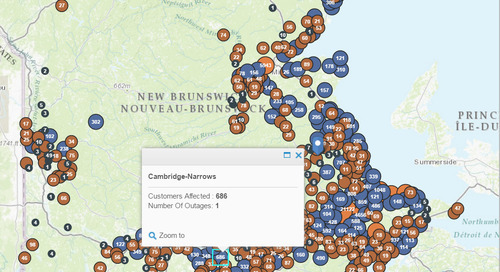 They built an online web viewer that provides all internal staff with real-time, accurate information on the state of the assets they manage, such as in the water distribution area and streetlight area, on a single operations dashboard. Eliminating labour-intensive and paper-based processes has significantly improved the organization’s ability to create resources that encourage collaboration – both within and outside the utility. 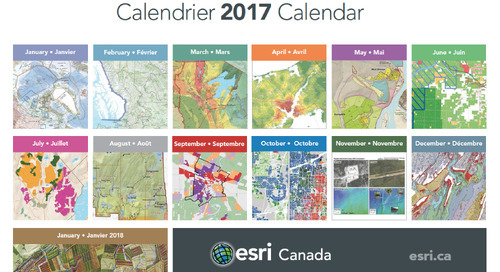 “Our team has not asked for an updated set of water, sewer or gas drawings in the last seven years because everyone can easily access them via our online web viewer – the operations dashboard. The GIS team has worked hard to build trust in the system,” remarks Joe Lewis, manager of Underground Water and Wastewater Operations at Utilities Kingston. The Streetlight Poles Inspection data displayed on operations dashboard. Digitizing the process has not only allowed Utilities Kingston to eliminate paper trail in its operations—from surveys and field visits for repairs and maintenance, to customer complaints and feedback—but also enabled intelligent decision-making. Whether the data pertains to the Gas Odorant surveys, Cap ‘n’ Trade surveys or the Gas Valve Inspection program, it is used to determine future asset investments or projects. A project map about capital work happening in a neighbourhood helps reduce the impact of any service disruptions. A sewer overflow map displays real-time information on the status of sewer overflows into local bodies of water. Recreational water users can check this map after heavy rains, before swimming, fishing or boating near a sewer overflow location to make more informed decisions. An address look-up app and service area maps allow customers to identify which Utilities Kingston services are available in their community. To transform digitally, organizations need more than just technology. 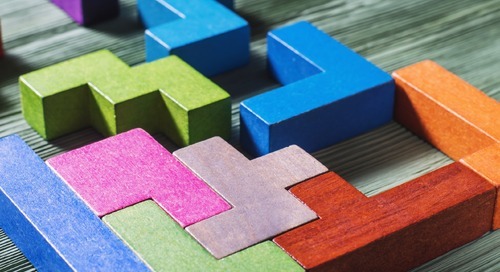 A unified approach is required: one that involves all aspects of business processes – operations, marketing, customer experience and so on – and that extends from top-level management to office and field workers, and to customers and partners. It also entails fostering a collaborative culture that encourages constant learning and intelligent risk-taking. Change management is important for any transformative change in the way people do their work. When employees are used to an existing system, comfortable with paper forms rather than tablets, or slower in picking up new technology – it can pose a major challenge. 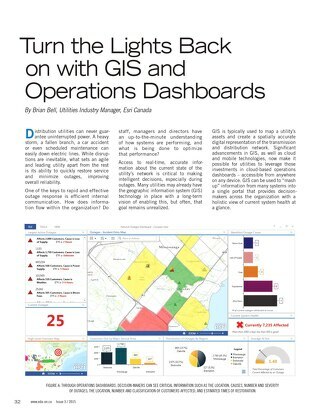 By having internal champions educate team members about the benefits of using GIS, such as accuracy of information flow, the ability to take pictures or standardize responses in form fields, Utilities Kingston was able to get the teams on board the digital transformation flight. Field workers are now armed with mobile phones and tablets, ready to enter data. Today, their entire field data collection process is electronic. Information is entered by touching points on a map and selecting dropdown menus to tag IDs of assets. The field crew records all information on mobile devices. Digitizing the processes means data is available in real time. So, what happens if workers lose their tablets or mobiles? Would they not lose the data collected? “No chance!” replies Jim Miller. “Technology has evolved. The information collected is no longer restricted to the device. The devices are connected remotely to our databases. As soon as field staff enter data via the app, it’s transmitted to the server, goes through the validation process and then is fed into our live environment – where it becomes accessible to everyone immediately,” he adds. Having fully automated field data collection, Utilities Kingston has simplified their work process, increased productivity and optimized resources available to the organization. 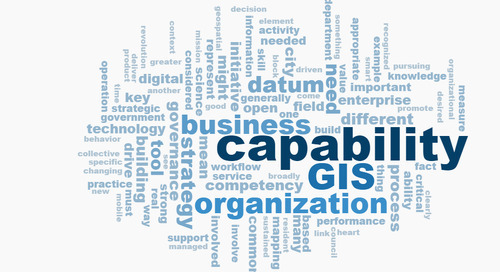 Indeed, by digitizing geospatial information, organizations can model the world within the context of both place and time, giving their workers in the field, on a route, or in the office a real-time evaluation of operations and assets. And with this real-time intelligence, the opportunities for improving processes and increasing efficiencies are endless.